What is the best 4K monitor in 2019? 4K– also known as 4K Ultra HD– is defined in consumer electronics as a resolution of 3840 x 2160, or 2160p. This is a marked improvement over 1440p and 1080p and is equivalent to four 1080p images stitched together. Even if you can’t run your games at a full 4K resolution, a 4K display will also provide a much cleaner-looking desktop interface and easier-to-read text, which is a bonus for those who spend a lot of time working at their PC. Whether you’re looking for the cheapest 4K computer monitor you can find, or an unbeatable 4K 144 Hz gaming experience, we have you covered. Let’s dive into it. The ASUS VP28UQG is our pick for best budget 4K monitor. “Budget” may be a generous title, especially for a ~$300 monitor, but that’s actually pretty good for a 4K display. In return for your money, you’re getting a massive 28-inch display, a superbly clear 4K image, FreeSync, and even a 1 ms response time thanks to the TN panel. 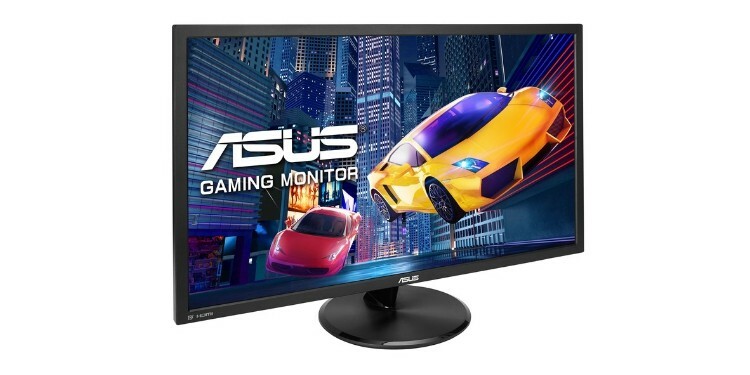 If your priority is gaming and saving money, then this monitor is definitely a great pick. In our tests, we found that it had fairly low input latency and that FreeSync added an extra level of smoothness to the image. Some users are reporting issues with FreeSync, but we didn’t experience these problems. We’re positive it’s related to HDMI compatibility issues, though, which we’ll elaborate on below. The only real downsides of this monitor is that it looks slightly less absurdly clear than a standard 27-inch 4K monitor, and that it uses a TN panel. In our experience, the first shouldn’t be perceivable at all in gaming, and should only be visible in desktop usage to someone with 20/20 vision. The TN panel is a downside if you prioritize visuals and color accuracy, but it’s the necessary trade-off for low price and gaming performance. 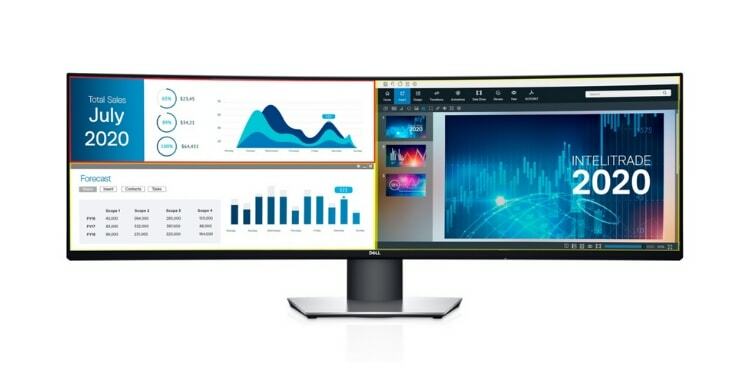 If you want a 4K IPS monitor without breaking the bank, the LG 27UD48-B might be the right pick for you. This is a 27-inch 4K monitor with FreeSync support and an IPS panel. In our tests, it boasts fairly great color accuracy and viewing angles, especially for its ~$300 price point. LG is doing a great job in the budget 4K monitor range, and this monitor is a great demonstration of that in action. The main downside here is the high response time. Unlike other IPS gaming monitors, which push higher refresh rates to compensate for a high response time, this monitor is only 60 Hz. While this should be perfectly fine for most gaming experiences, a 60 Hz monitor with a 5 ms response time may prove to be not enough for the most competitive gamers out there, especially those playing eSports titles. 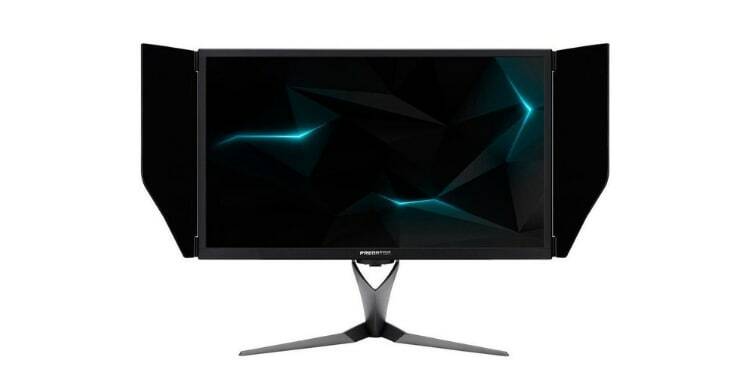 If you aren’t a competitive gamer, though, and you just want 4K visuals for a fair price, this is definitely a good monitor for you. It’s a considerable step up over a 24-inch 1080p monitor, especially if you were using a TN panel prior. The 27-inch display serves as a great way to expand screen real estate and make it easier to see far-off details in game when combined with the high resolution. 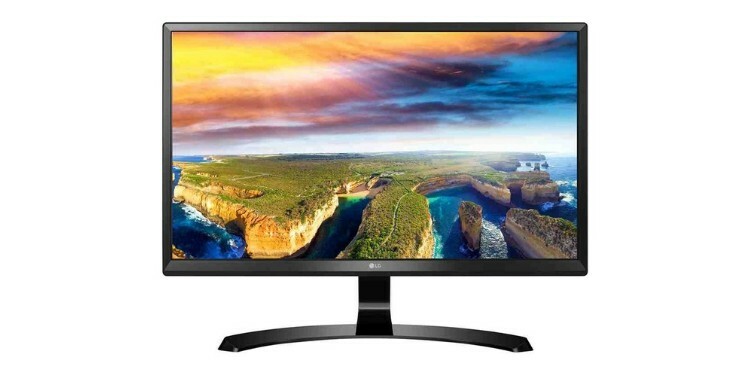 The LG 24UD58-B is our pick for best 24-inch 4K monitor for a few different reasons. The main reason is… well, this is one of the only 24-inch 4K monitors we were able to find. It seems that most manufacturers are opting for 27-inch models instead, which makes sense: that is a much more practical way to use this resolution. However, a lot of you probably have a preference for 24-inch monitors and find 27-inch displays a little large for your needs. If that is, in fact, the case, then this monitor may just be the right one for you. If you were to put all the monitors on this list in a line-up, side-to-side, the image on this monitor would be the sharpest. That’s because while it shares the same resolution as all the other monitors, it’s containing that resolution in a much smaller space. This results in a higher pixel density, or PPI. The perceived sharpness of this panel will appear unparalleled in comparison to anything else on the market because of its compressed size. In addition to its great clarity, you also have FreeSync and IPS. These come with the usual benefits you’d expect: tearing-free gameplay on AMD and modern Nvidia GPUs, as well as stellar color reproduction. The input latency is also fairly respectable for casual multiplayer use and single-player games as well, though that’s where we have to get to the downside. The downside here is very similar to this monitor’s older brother (the 27-inch model we listed above). Since you only have a 60 Hz refresh rate, the consequences of a 5 ms response time are a bit exacerbated here, which means that this monitor won’t be ideal for an eSports gaming experience. Provided you aren’t playing your games super-seriously and you still want a compact, high-fidelity monitor, this can still be the best pick for you. If you are a bit more competitively-oriented, though, keep reading. This is the first competitively-oriented 4K monitor on this list, but the main highlight of the Acer Predator X27 is its HDR support. Thanks to Nvidia’s G-Sync HDR module, this monitor supports full 4K and HDR10 content, and according to tests around the industry, it’s the best PC monitor for the job. Where other monitors fall short in their HDR10 implementations-- especially in comparison to 4K TVs-- Acer’s Predator X27 monitor actually performs better than a lot of HDR10 TVs. That’s fairly impressive, especially on a display as small as this one. (Simply explained: HDR is mainly a brightness thing, with very fine control of per-pixel lighting. On a large 4K panel, this is practical. On a 27-inch monitor… not so much.) If you’re gaming on PS4 Pro or Xbox One S/X, you have the best HDR support of all gaming platforms currently available. That makes this monitor the best choice for you. Even if you aren’t a console gamer, though, there’s a lot to love here. This monitor boasts stellar color reproduction, has full G-Sync support, great viewing angles, and even a 120 Hz refresh rate. (This refresh rate is overclockable to 144 Hz, too!) All of that with a 4K resolution is completely insane, and you even get a 4 ms response time, which is slightly better than most IPS panels. The downside is… it’s expensive. Alongside our next pick, it’s actually the most expensive monitor on this list. 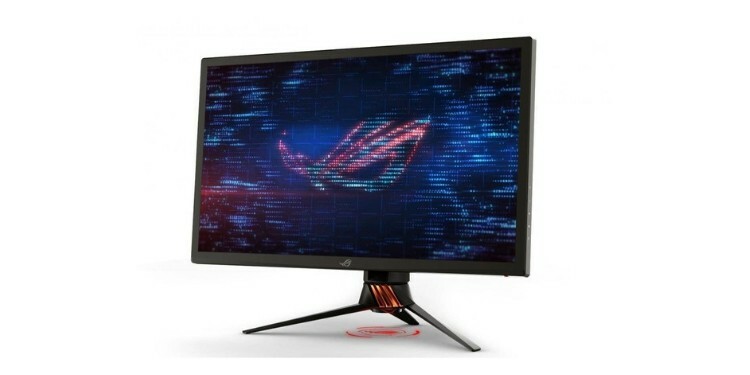 The ASUS ROG Swift PG27UQ is our pick for best 4K gaming monitor. It offers… well, pretty much everything. First and foremost, you have the image quality. All the boxes here are checked: the panel is 4K, it has IPS, and it even has HDR support. While the Acer Predator X27’s HDR implementation is better, this is still a fair sight better than most monitors that have no HDR support whatsoever. If you aren’t a console gamer who has a large volume of HDR content, then that difference may not even matter to you at all! In return for the slightly inferior HDR implementation, you get an out-of-box 144 Hz refresh rate. This, alongside the 4 ms response time, helps further reduce input latency compared to your usual 4K 60 Hz monitors. The sheer density of features on display here, like with the Acer Predator X27, is genuinely insane. You also have a few bonuses here that the Predator doesn’t, like more adjustment options and built-in RGB lighting. Truthfully, the ROG Swift and Acer Predator monitors in this article are fairly close to one another in just about every way. They typically match each other in price, too, even when they’re both on sale. Ultimately, which you pick boils down to which extras you like more. If you prefer better HDR, then pick the Predator. If you prefer more adjustment options and RGB lighting, pick the ROG Swift. Either way, you really can’t go wrong… assuming you can afford it. Last but not least is our pick for best 4K Ultrawide monitor! ...sort of. Despite the volume of you searching for a ultrawide 4K curved monitor, there isn’t one yet. We hate to be the bearer of bad news, but unfortunately, that just seems to be the case right now. What we found instead was the highest resolution Ultrawide monitor, which brought us to the Dell UltraSharp U4919DW, which boasts a resolution of 5120 x 1440. This is essentially 2 1440p monitors rolled into one, but in-game performance requirements, it’s going to line up with that of a 4K gaming rig. Unfortunately, this beefy size and resolution does come at a great cost. (Aside from the other downsides we’re about to mention, it’s also kind of expensive.) There is no VRR in this monitor, and you’ll need to tweak it into Fast mode to get an acceptable response time. The image quality, color reproduction, and viewing angles are all superb, though, and we genuinely believe you’ll have one of the best gaming experiences on the market with this display. If you aren’t familiar with all the specifications and technical terms we’ve been tossing around, that’s okay. With this section of the article, we have you covered, and we’ll make sure you have a better understanding of what you’re dealing with. In case you still have any lingering questions after reading this buying guide, feel free to comment below and ask for assistance– we’d be happy to help you. For now, though, let’s answer the most pressing questions. Screen size matters for more than just the physical space the screen occupies on your desk. Take two monitors with the same resolution, then shrink one down by a few inches. If you were to then look at these monitors side-by-side, you would realize that the smaller one looks even clearer, since the pixel density is much higher. With this in mind, giving simple screen size and resolution measurements don’t tell the whole story about how clear a monitor will actually look in front of you. Taking into account common viewing distance, a monitor will look fairly unclear if it doesn’t meet at about ~90 PPI. 24-inch 1080p monitors meet this target just fine, but still, aren’t exactly high-fidelity. With 4K monitors like the ones in this article, you’ll see that our PPI measurements far exceed that target. In common desktop usage, this will result in much sharper, clearer text, and a far-improved multitasking experience. In gaming, provided you have the graphics horsepower to back it, you’ll see a massive improvement in overall clarity and fidelity. If you’re a gamer and want hardware capable of making the most of one of the monitors listed above, take a look at this section. A PS4 Pro or Xbox One X. The former generally upscales from 1440p, and the latter generally upscales from 1800p. In rare scenarios, games will be played at native 4K on these devices. Still, if you get one of the HDR enabled monitors, then you’ll have an extremely crisp viewing experience. An RX 580 or GTX 1660. These cards are capable of native 4K at console-equivalent settings in many titles, or 1440p/1800p upscaling at higher settings. A GTX 1660 Ti or RTX 2060. Same as above, but with a higher trend toward 1800p. We have a PC build using the latter GPU. In this section, we’re going to discuss refresh rate. Quite a few monitors on this list have a refresh rate above 60 Hz, and if you aren’t familiar with display technology, you may not know what that means. To put it simply, refresh rate counts the number of times a monitor refreshes in a second. This is measured in Hertz. 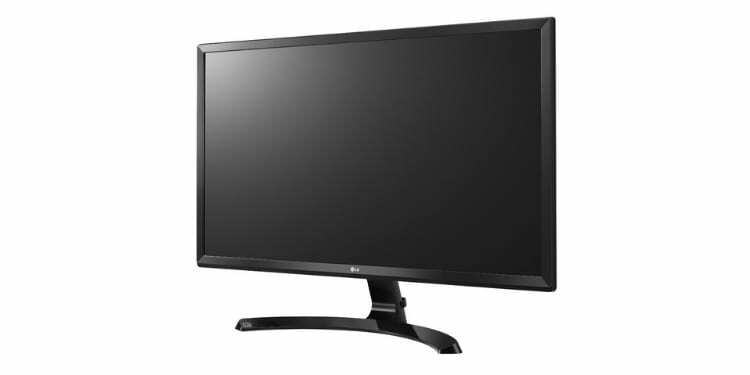 It corresponds to the FPS (frames per second, or framerate) that the monitor can display. With a high refresh rate monitor, you’ll actually be able to see framerates above 60 FPS, which translates to a competitive advantage in many games. 60 Hz/60 FPS – The standard for a smooth experience. Most displays use this, but not all console games meet this performance target. 120 Hz/120 FPS – Super-smooth. Offers the greatest noticeable improvement over 60 Hz/FPS. 144 Hz/144 FPS – Hyper-smooth. A bit of a marginal improvement over 120, but still the industry standard. If every frame matters to you, a 144 Hz monitor is key. VRR stands for “Variable Refresh Rate”, and refers to technologies that adjust a monitor’s refresh rate on-the-fly to adjust to changes in framerate. In scenarios where a monitor’s refresh rate doesn’t match with in-game framerate, screen-tearing is common. In the past, gamers used V-Sync to combat this problem, but it came at the cost of lower performance and higher input latency. With VRR technology, however, this same effect can be achieved at no performance or latency cost to the end user. While we didn’t encounter this issue, some users are encountering flickering issues when using FreeSync. This is actually somewhat common in monitors, especially when using an HDMI cable instead of DisplayPort. We recommend using a DisplayPort cable with these monitors for ideal FreeSync performance. If you’re gaming on an Xbox One X, make sure you have an HDMI 2.0-rated cable, or turn off FreeSync to prevent flickering. Response time measures the amount of time a pixel takes to “respond”, which usually means going from gray-to-gray. This is related to input lag, but doesn’t always tell the whole story. In general, though, lower is better. 1-2 ms – The best, but only achievable by TN panels. 3-5 ms – Pretty solid, and the best an IPS panel can manage. 6+ ms – Not recommended in smaller displays (ie monitors). Will likely feel laggy. Panel type refers to the type of panel the monitor is built with. We’ve listed the two relevant panel types that appear in this article below. TN – Faster response times, lower input latency. Comes at the cost of worse color reproduction and viewing angles. Recommended for competitive gamers. IPS – Far better color reproduction and viewing angles. Comes at a slight cost to input latency and response time. Recommended for most gamers.